The latest news, updates, events and match reports from Brooklyn Rugby. 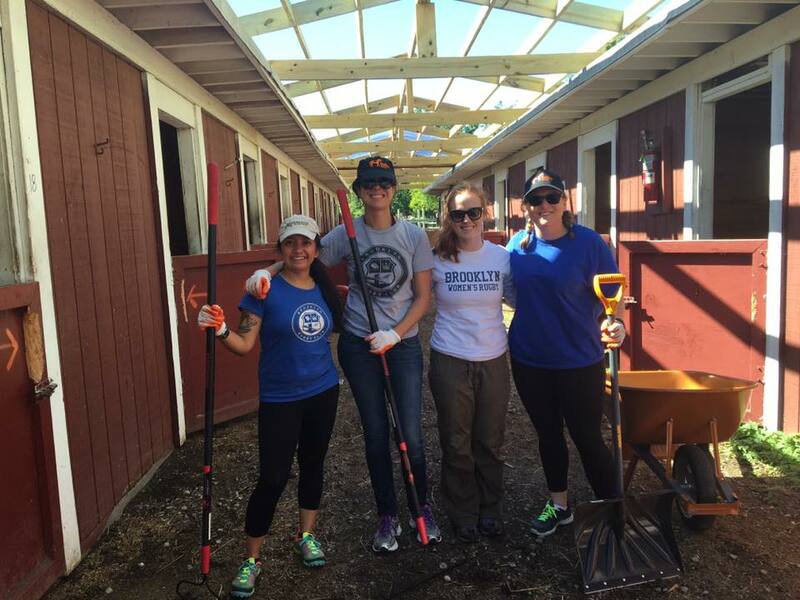 This past Sunday, members of the Brooklyn Women’s team headed out to Howard Beach, rolled up their sleeves and got to work in helping local charity Gallop NYC renovate their new facility, Gemini Stables. Brooklyn player Sol Mills has been working with Gallop NYC for a long time and lead the charge in getting women’s team members together to put in some hard work for a great organization. This volunteering comes hot on the heels of another charitable act from the women’s team. In mid-September, Juliet “Patch” Wade brought the #CreamPediatricCancer movement to rugby teams in the tri-state area. Patch and her teammates bravely took a pie in the face and named five other teams to do the same in the process. Two weeks later, the men’s team responded in kind. #CreamPediatricCancer was started by the #JacksonStrong Foundation in order to raise money and awareness for Pediatric Cancer Month. Proceeds from this are going to the St Baldrick’s Foundation.